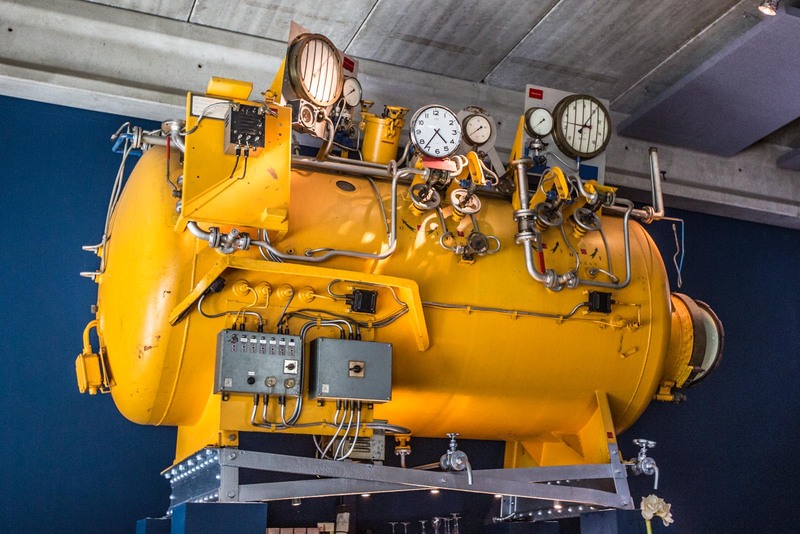 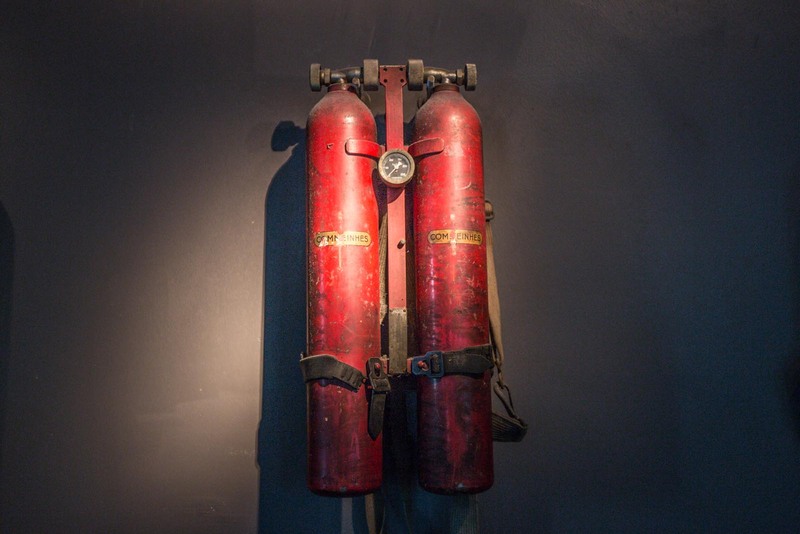 A cute little decompression chamber found at Nemo 33, a deep water diving pool and facility located in Brussels. 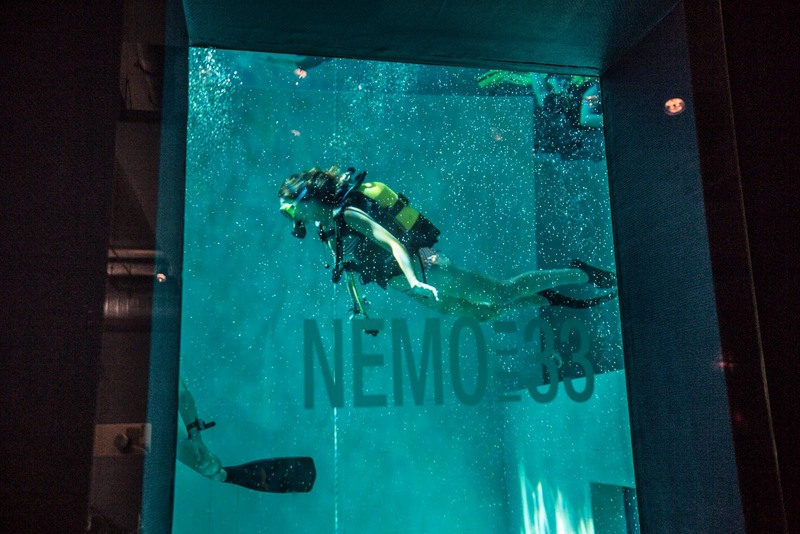 An actual diver seen through the observation window of the restaurant and bar at Nemo 33. 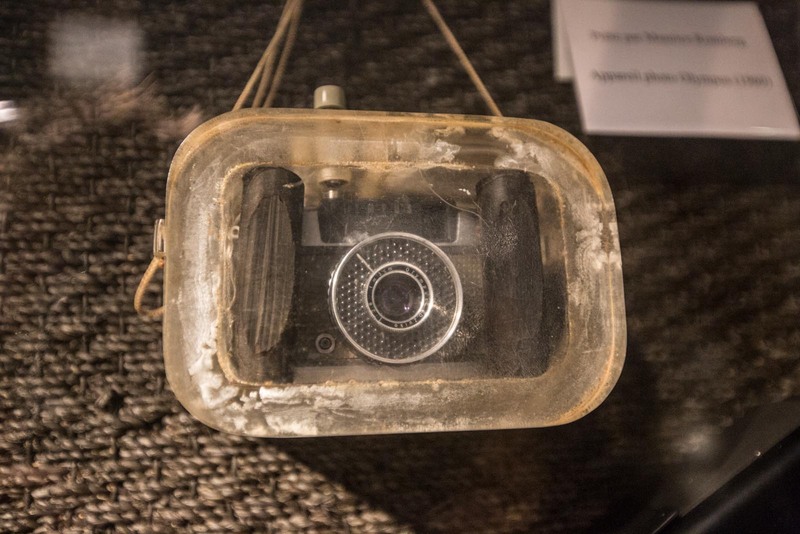 Underwater camera from the sixties. 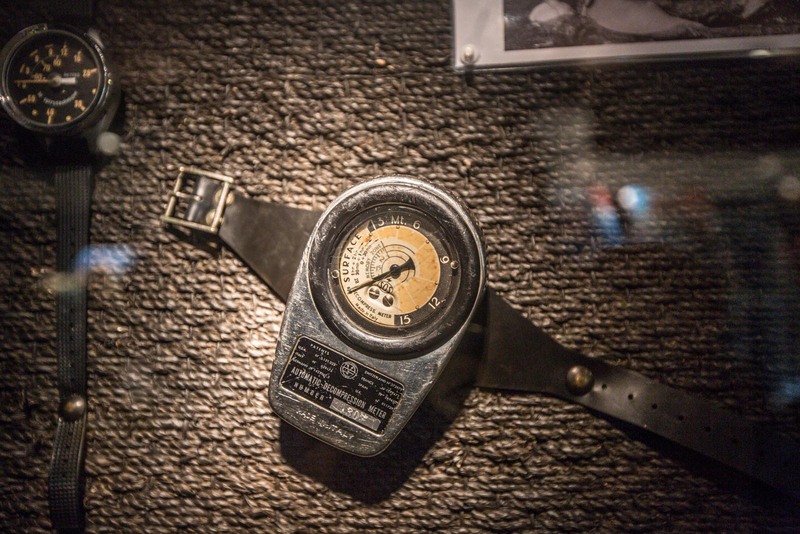 Looks pretty tiny compared to some modern ones.